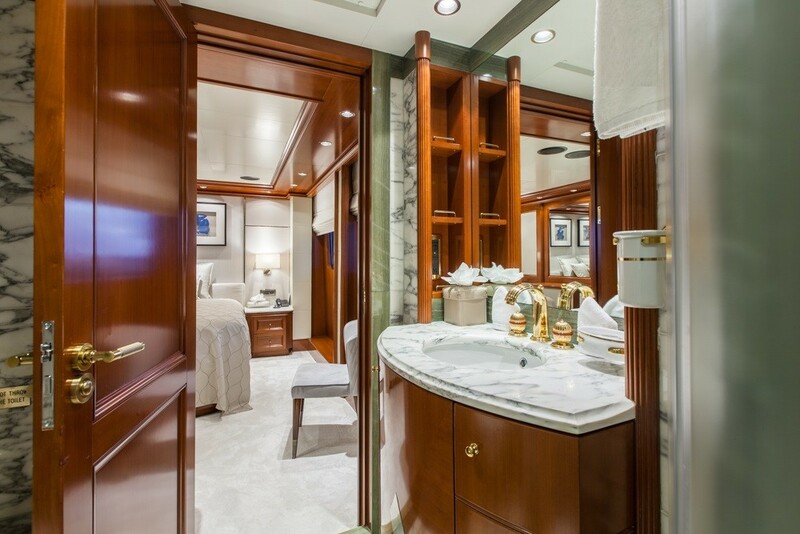 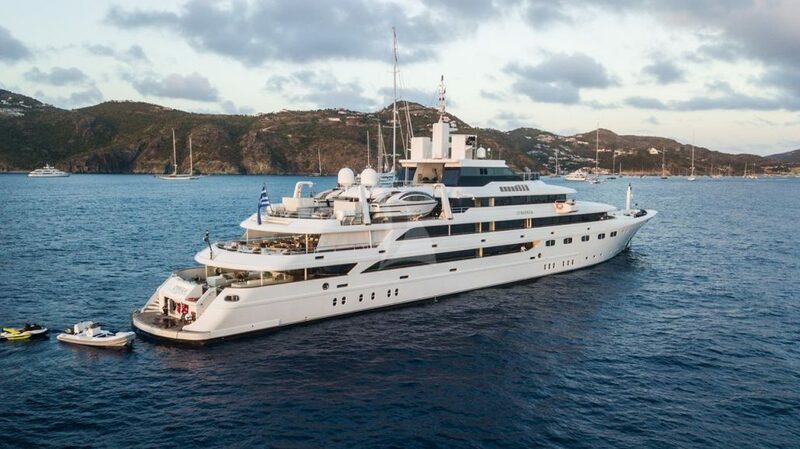 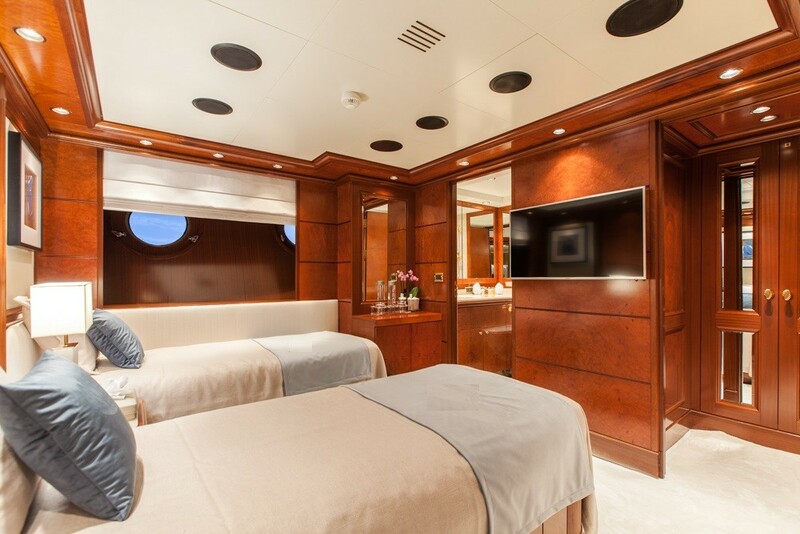 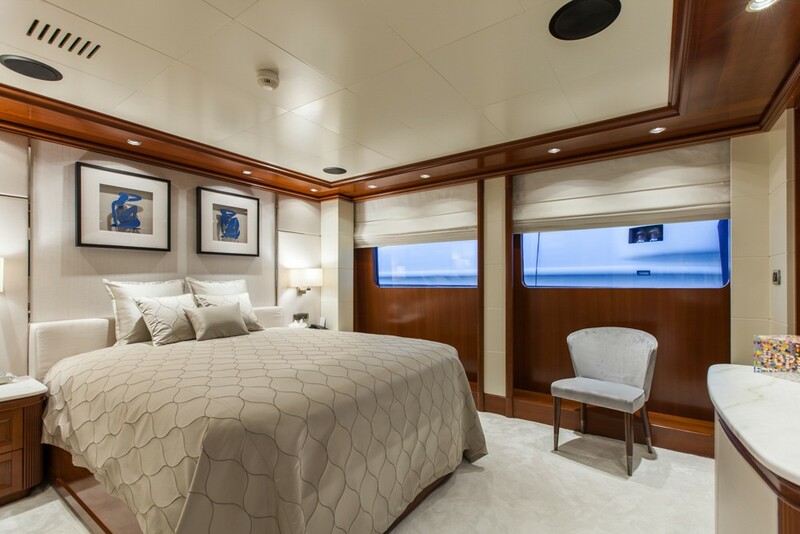 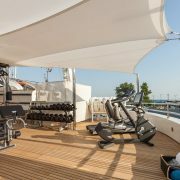 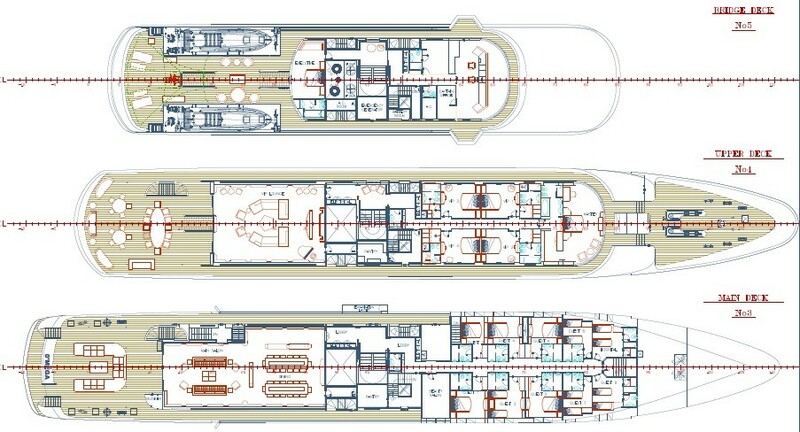 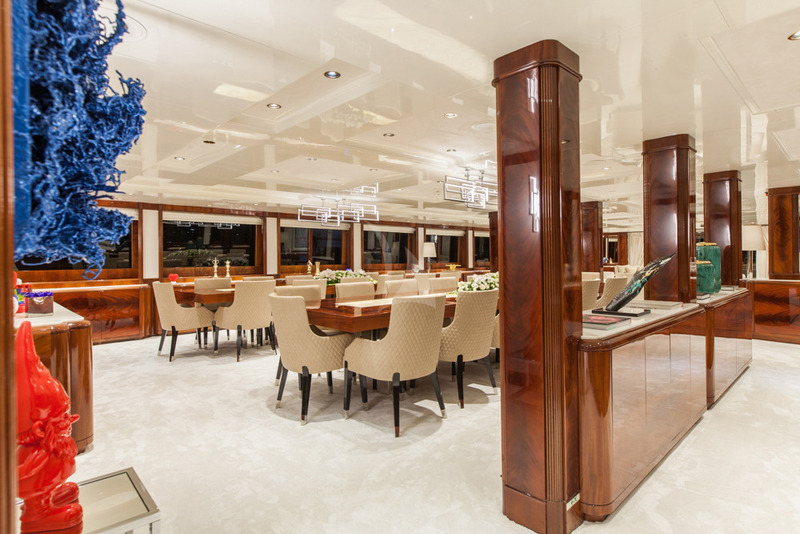 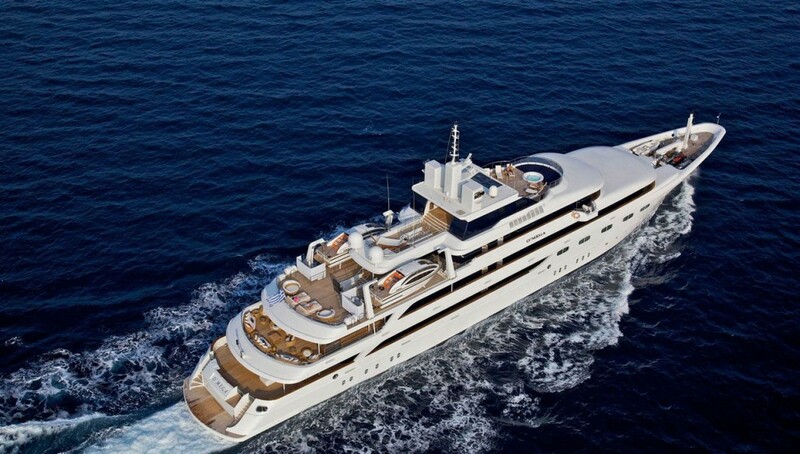 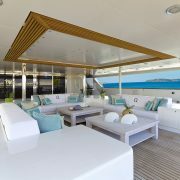 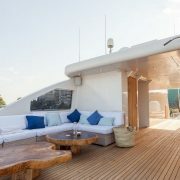 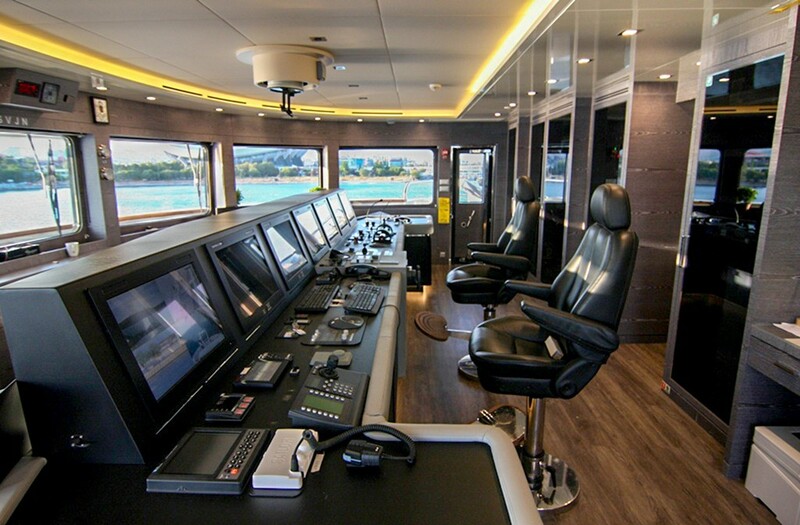 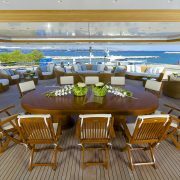 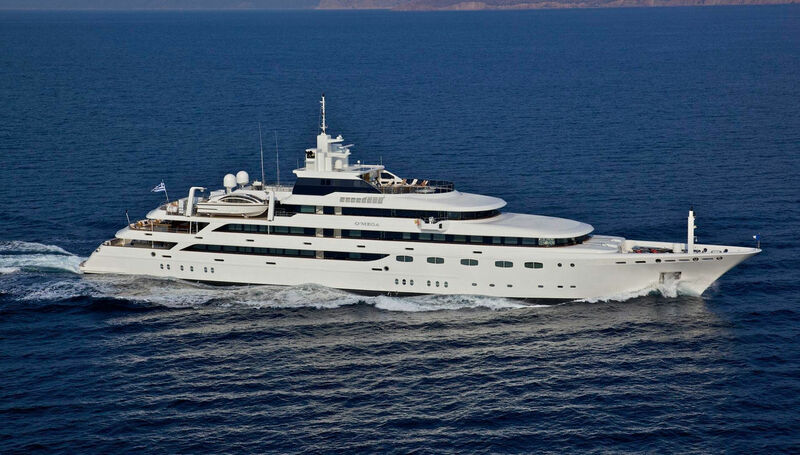 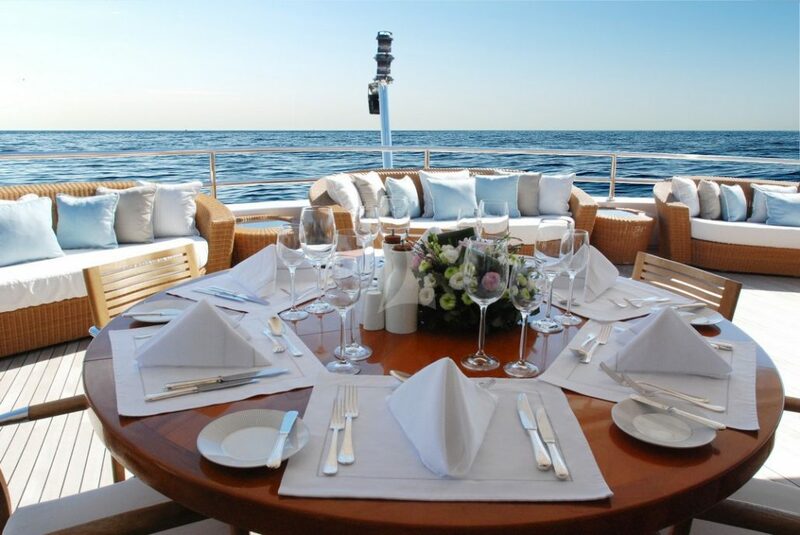 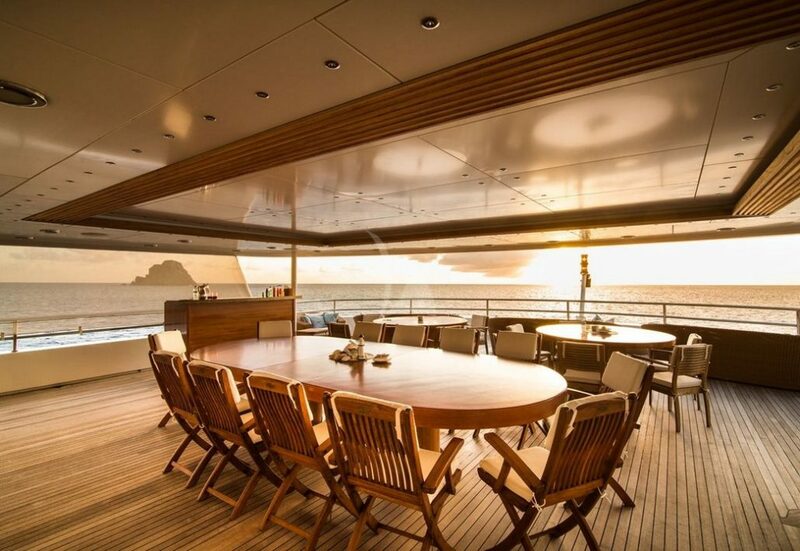 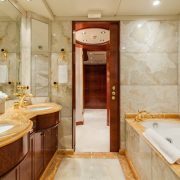 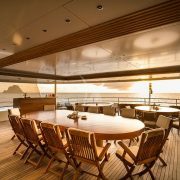 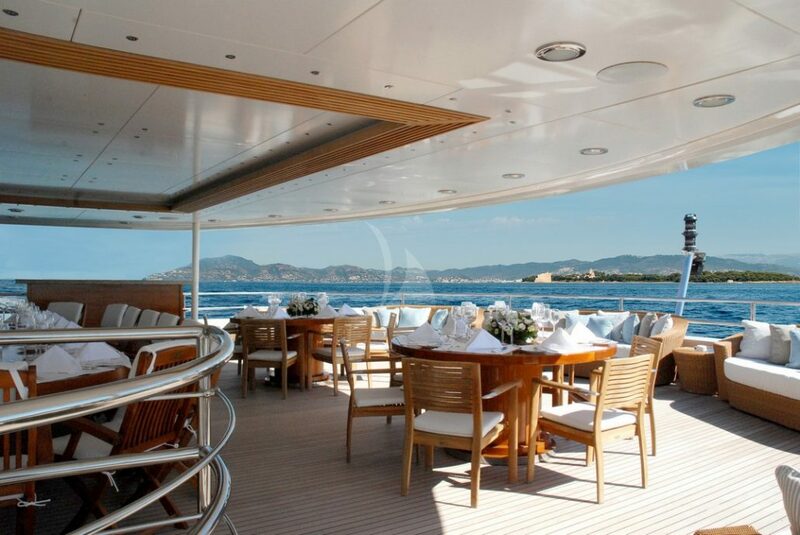 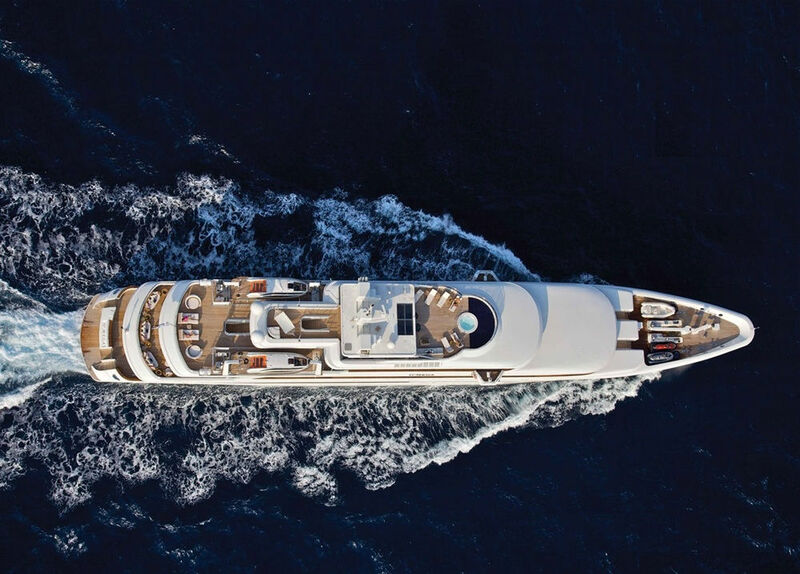 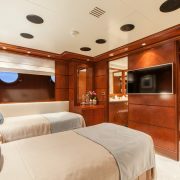 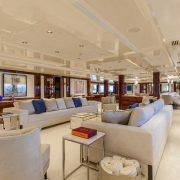 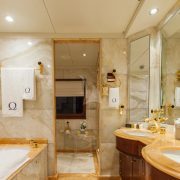 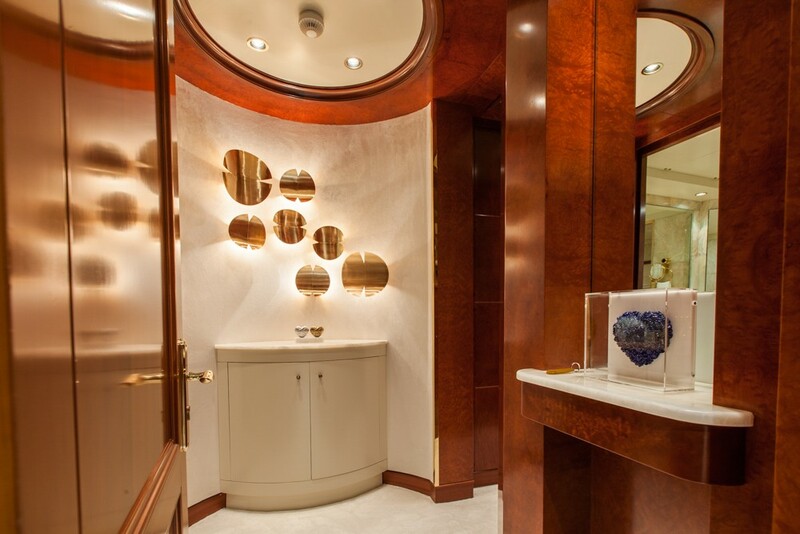 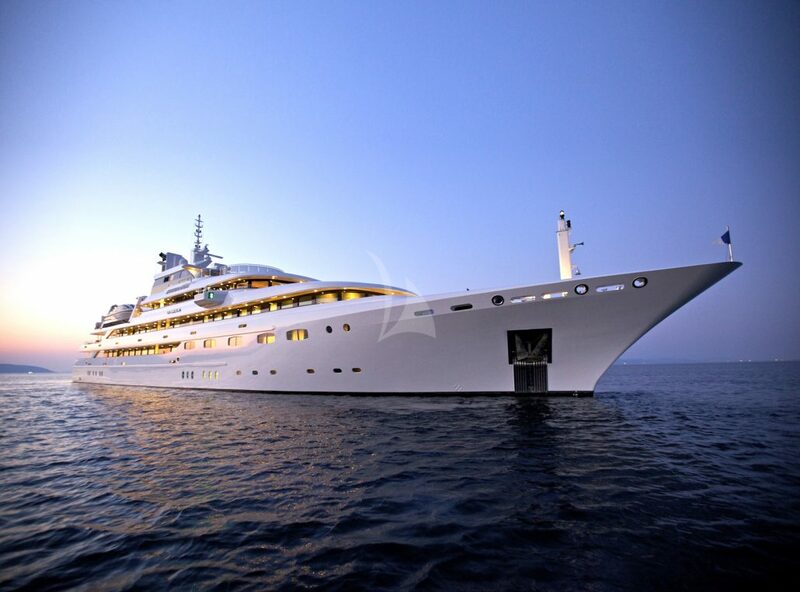 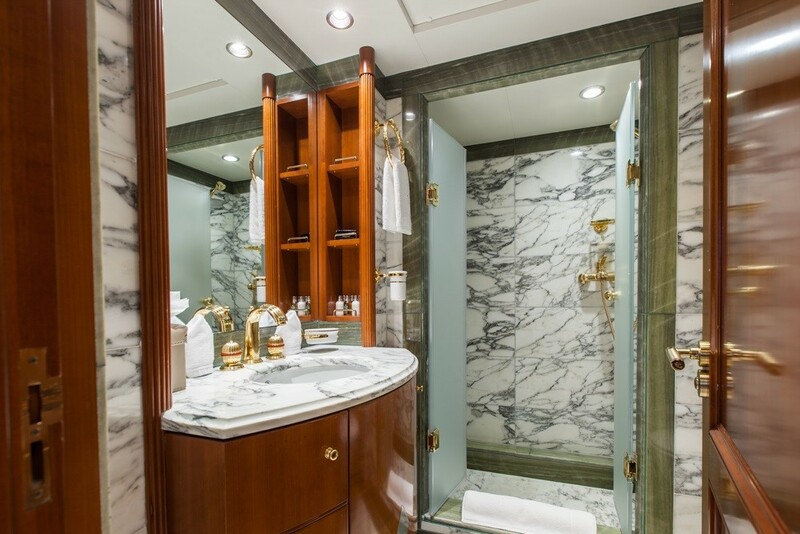 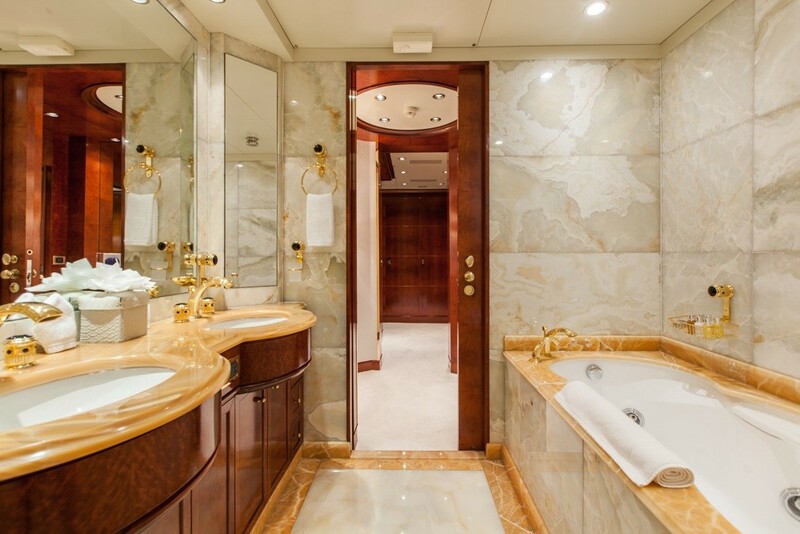 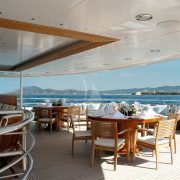 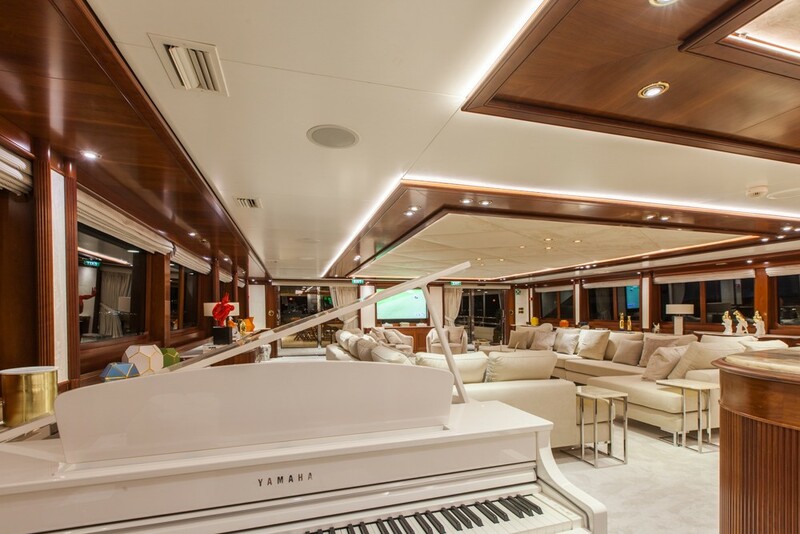 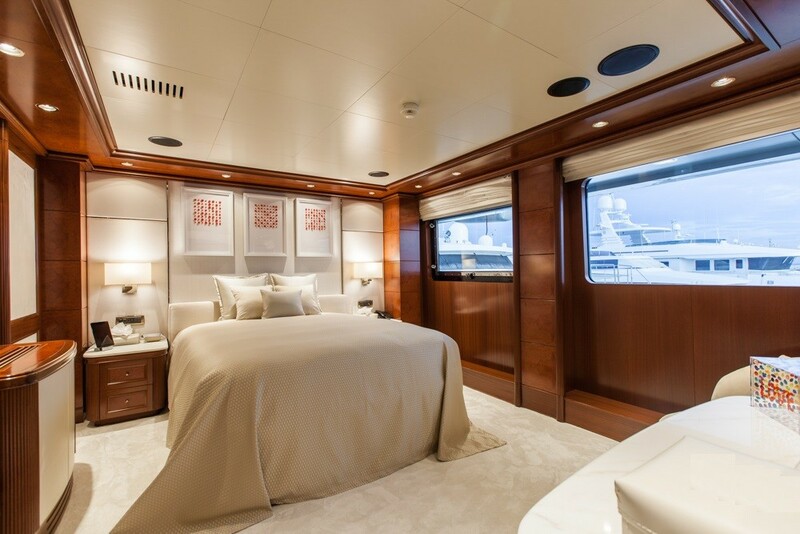 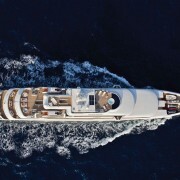 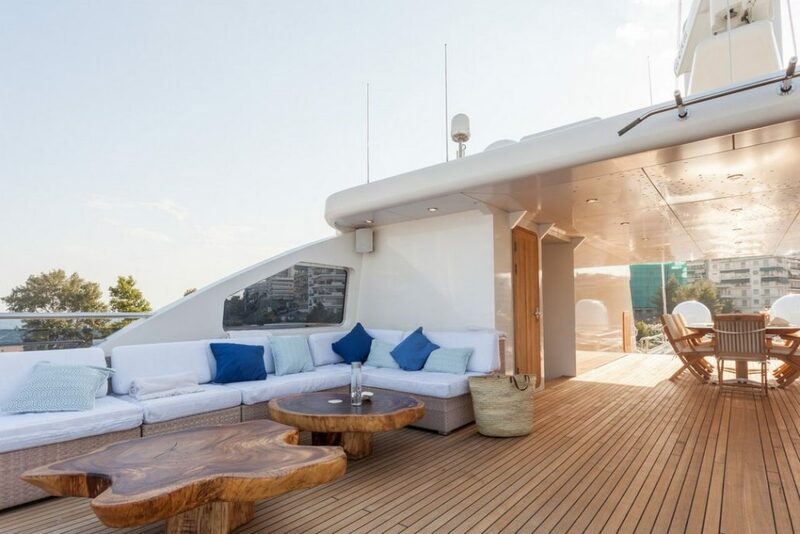 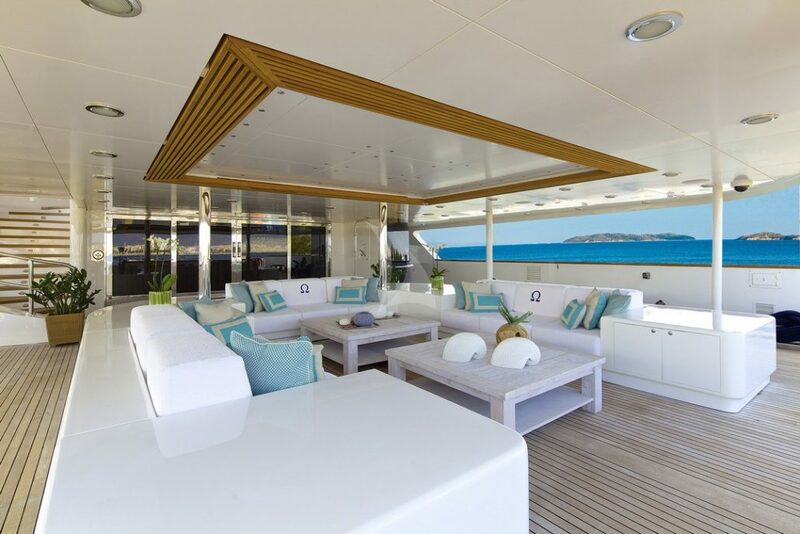 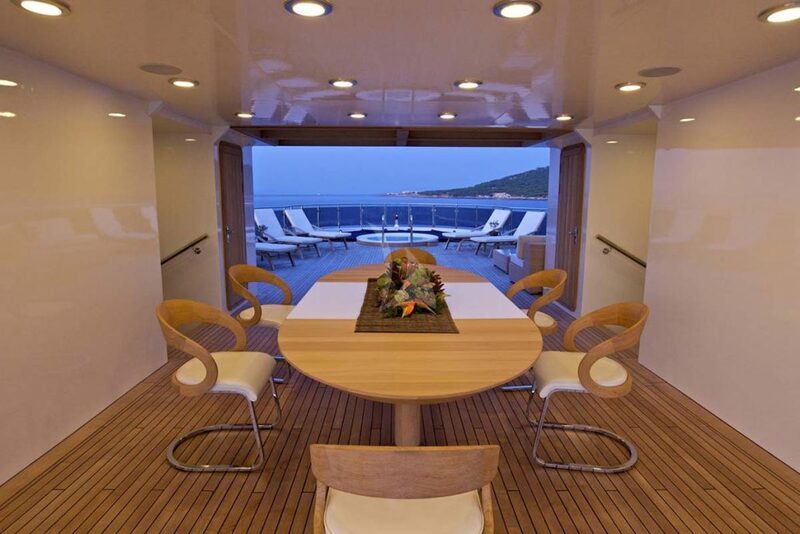 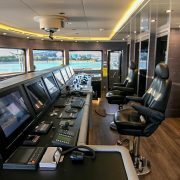 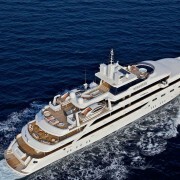 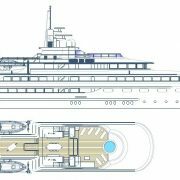 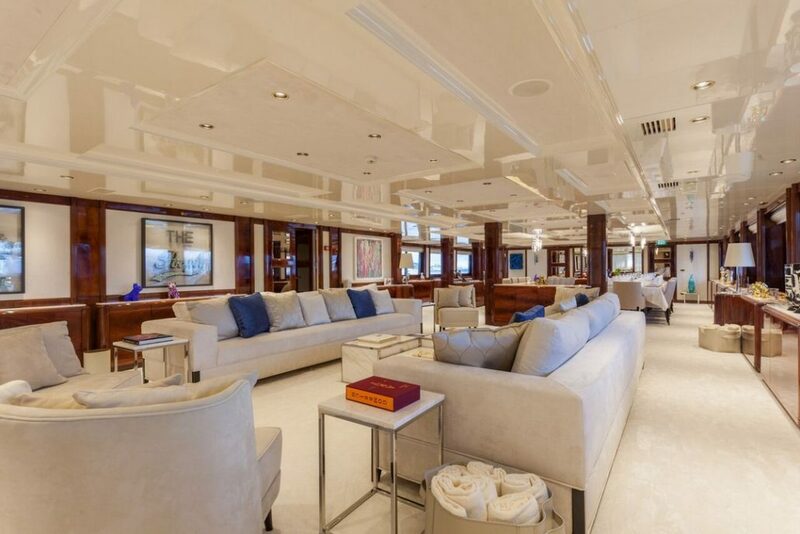 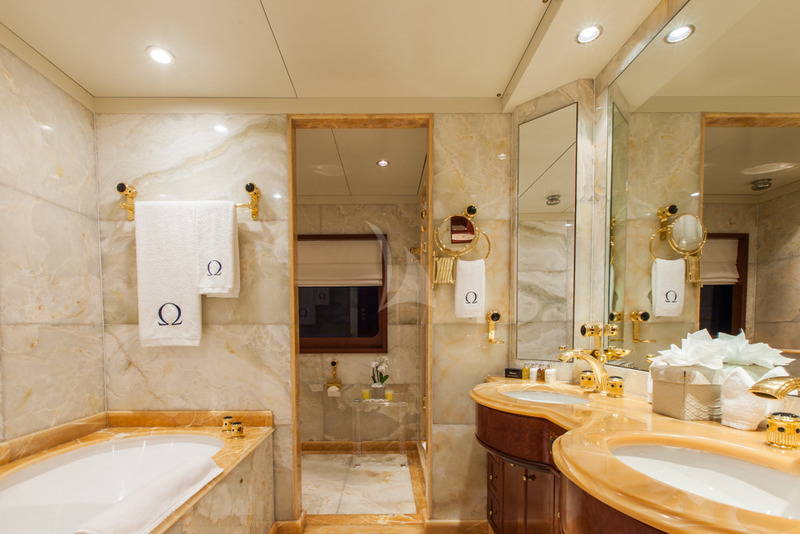 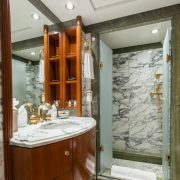 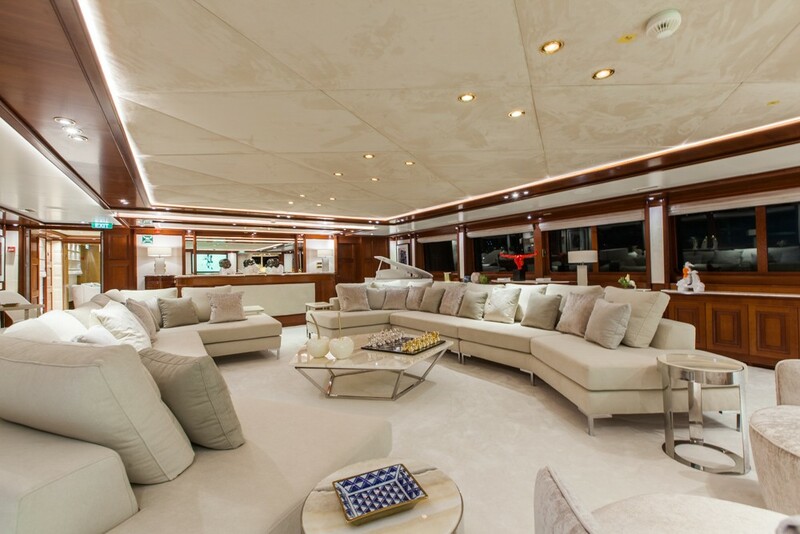 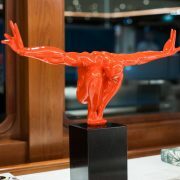 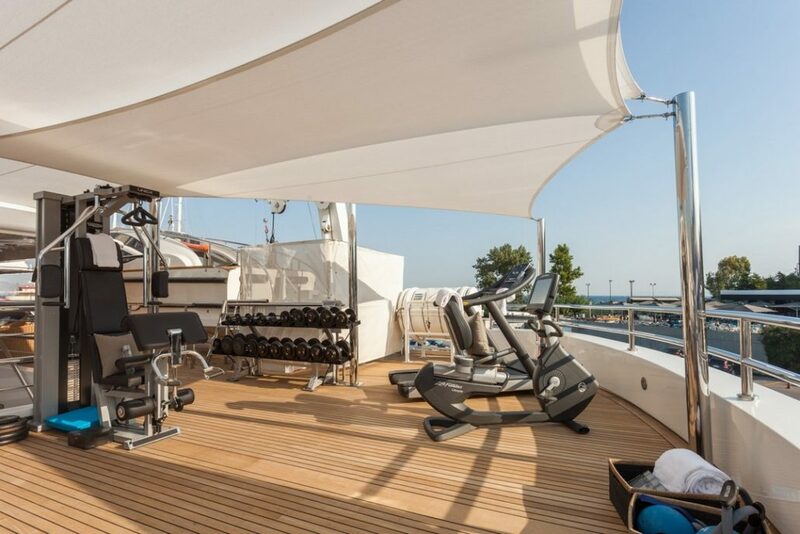 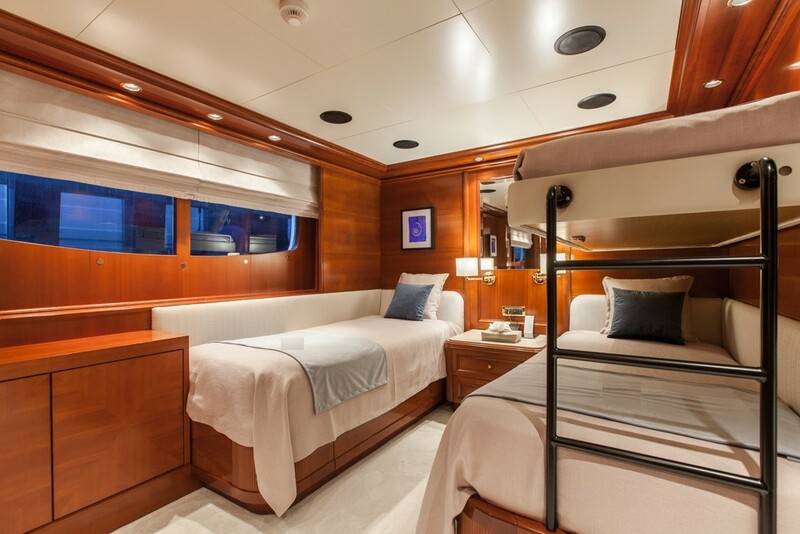 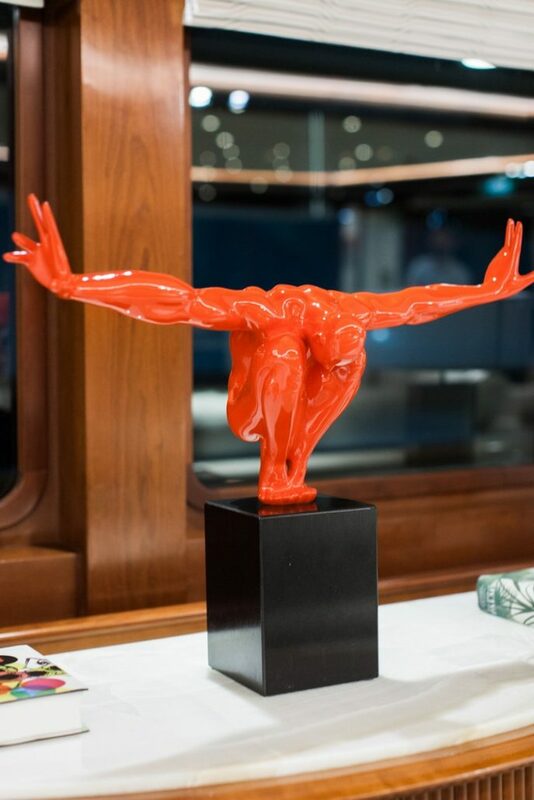 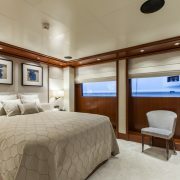 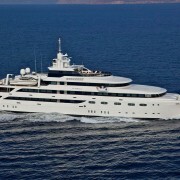 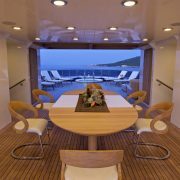 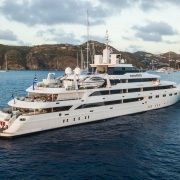 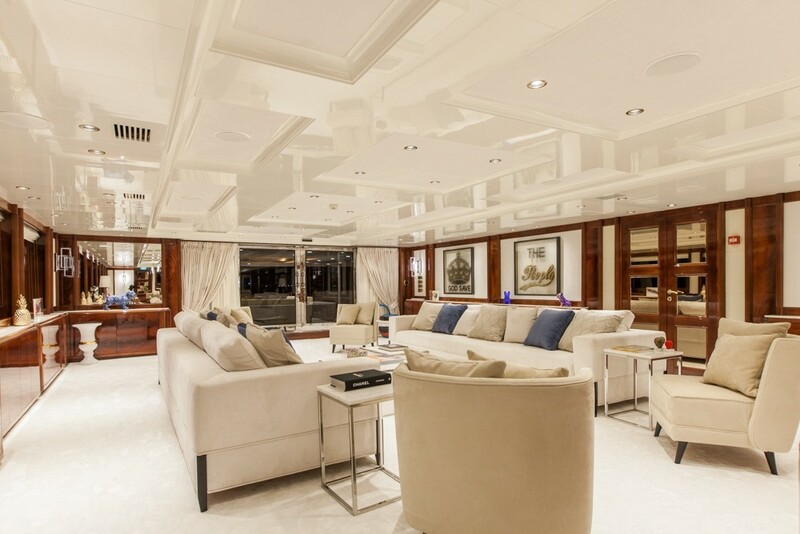 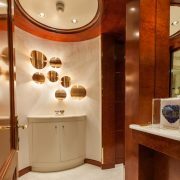 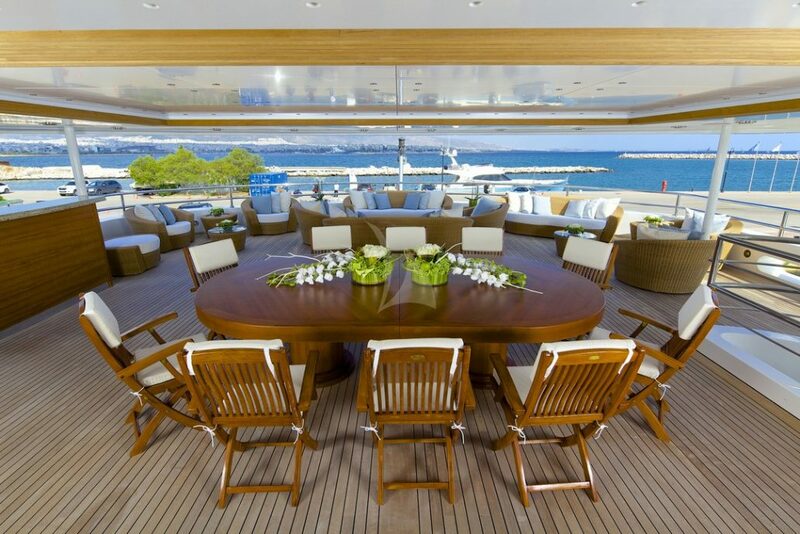 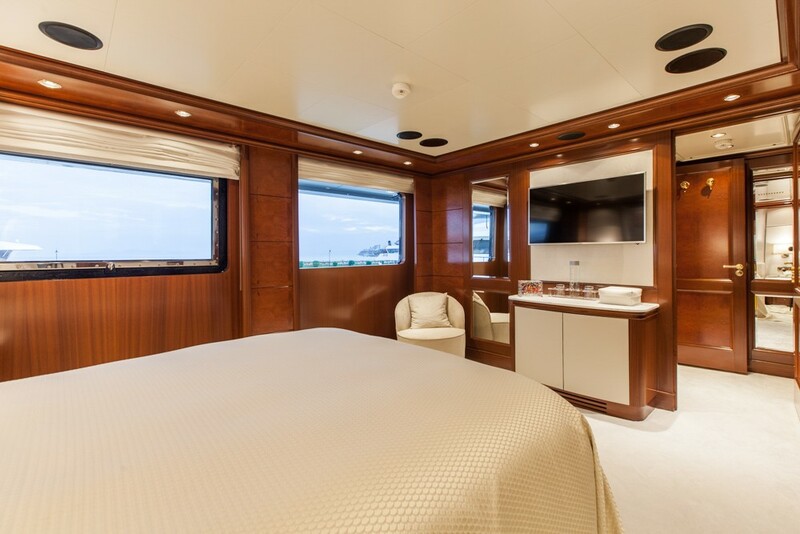 The famous 83 meter Luxury Motor Yacht O’MEGA is able to accommodate and entertain up to 30 guests in luxury. 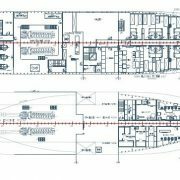 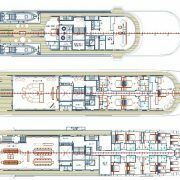 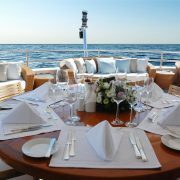 O’ Mega ensures the comforts of a large spacious private yacht but also the success of your entertaining or special corporate events. 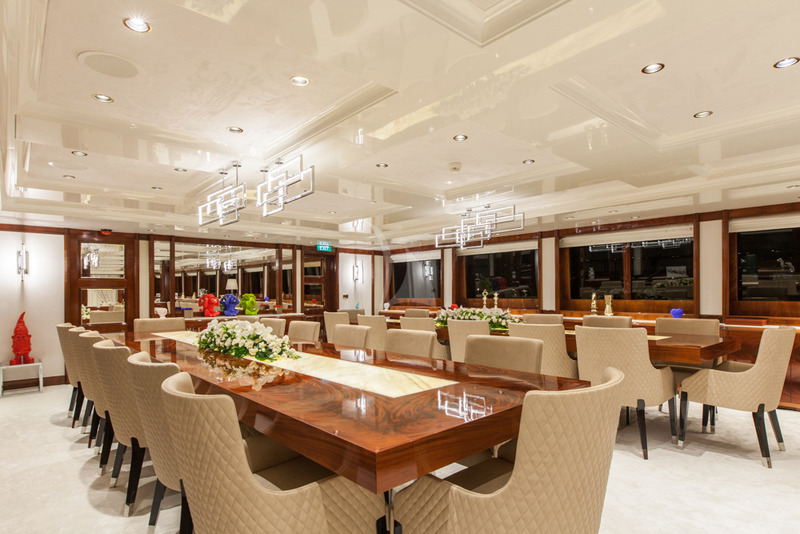 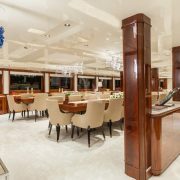 Her large conference room is directly accessed from the main salon and provides the privacy required. 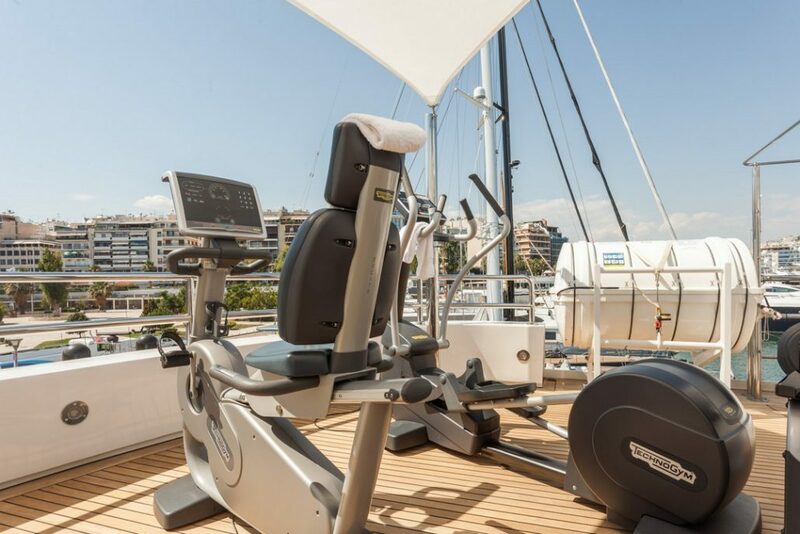 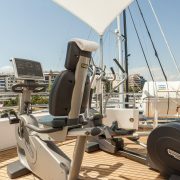 Relax in the massage parlor, exercise in the gymnasium/yoga studio, rejuvenate with your private beautician, work out in the gymnasium and let loose in the indoor and outdoor Jacuzzi. 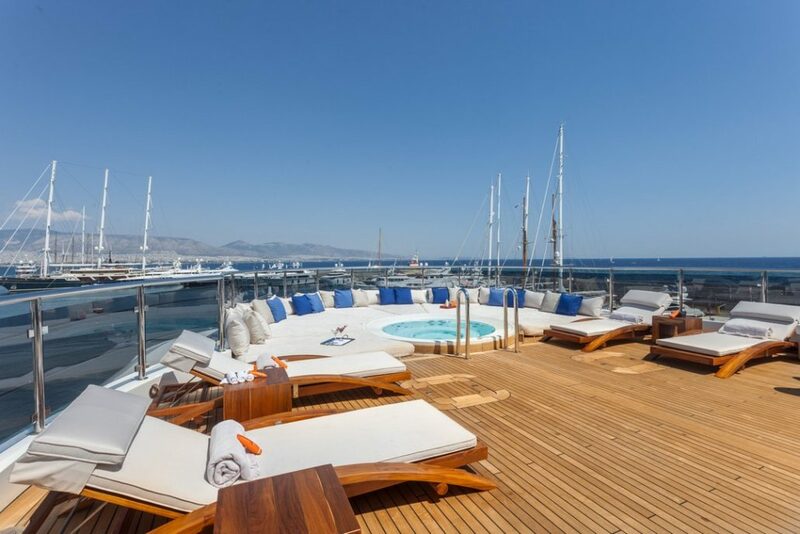 Explore the wonders of the sea with scuba diving, snorkeling and fishing, or enjoy the thrill of jet- skiing windsurfing and water-skiing. 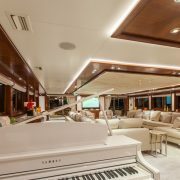 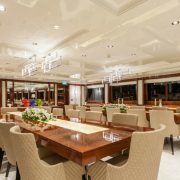 Entertain yourself and your guests or work associate in the cinema/conference room and move on the piano bar after sunset.